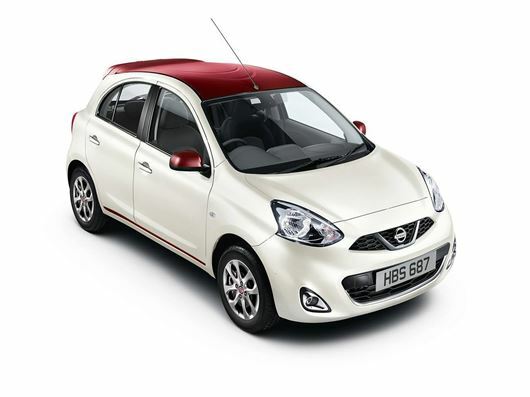 Nissan has announced a colourful new special edition Micra model, rather simply named the Micra Special Edition. It’s based on the Acenta trim level, which comes with alloy-wheels, a roof spoiler, air conditioning and cruise control, but it also gains tow-tone paintwork and a chrome exhaust finisher. Prices start at £12,300 and order books are open. Colours offered are Alabaster white with a red roof and door mirrors, Pacific Blue with white roof and door mirrors and Shiraz red with black roof and door mirrors. The cabin also gets a colour overhaul, with colour coordinated roof, air vents, gear lever column and floor mats.